Net tenders are small ships assigned to patrol harbor antitorpedo and antisubmarine nets. Since part of their duty is to open the nets for friendly vessels, they also serve as harbor pickets. 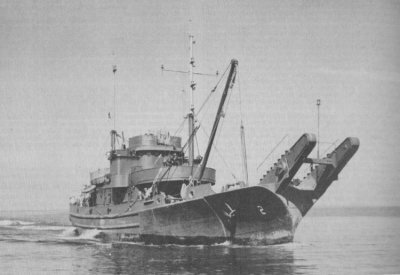 Having had its battle line devastated by aerial torpedoes and simultaneously threatened by midget submarines at Pearl Harbor, the United States built large numbers of these vessels to lay protective nets around anchorages throughout the Pacific basin.